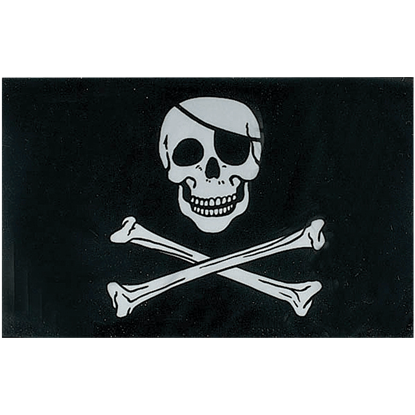 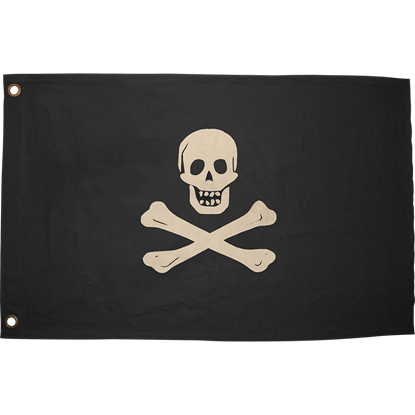 One of the most iconic elements of piracy, flags were used during the Golden Age of Piracy when a pirate ship closed in on their prey, raised to warn them to surrender or else risk no quarter in battle. 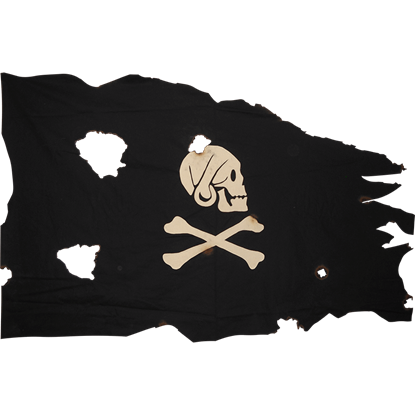 We offer a great selection of pirate decor and gear, including this array of famous pirate flags. 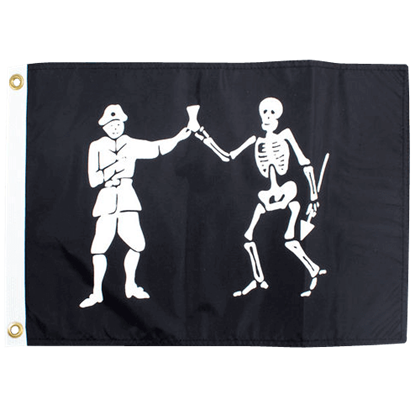 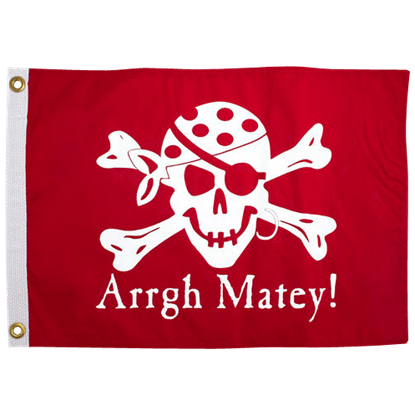 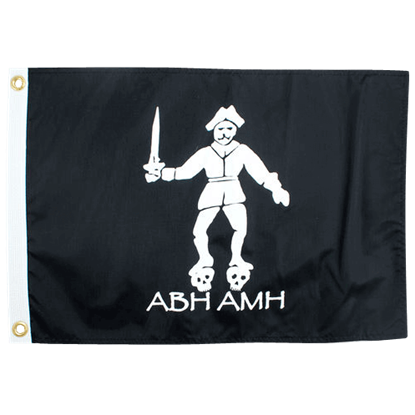 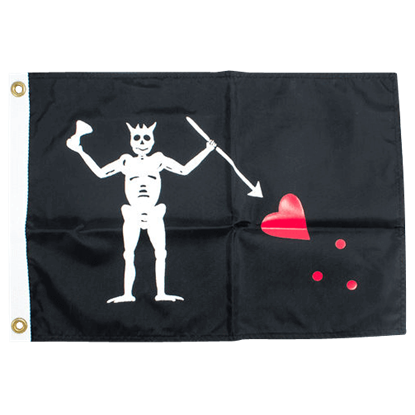 These swashbuckler flags include historical designs used by infamous pirates such as Henry Avery and Calico Jack, as well as the distinctive Jolly Roger flag. 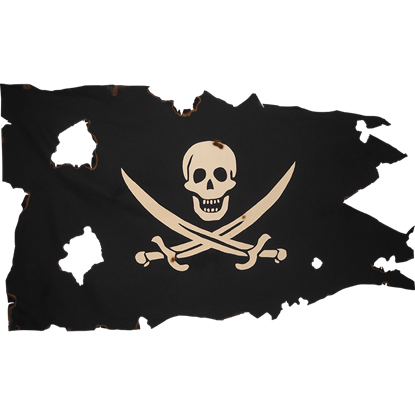 Many of the pirate ship flags show off decorative burn holes and other stylized wear and tear to increase their realism. 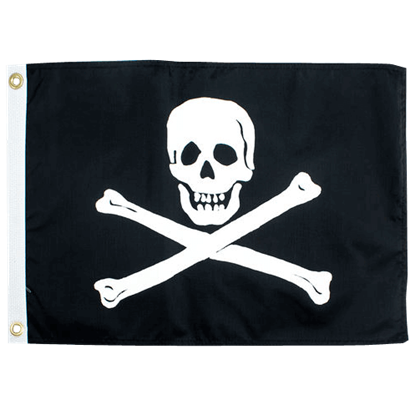 These skull and crossbones flags and pirate captain flags come in a range of sizes, allowing you to find the perfect one to fit your space. 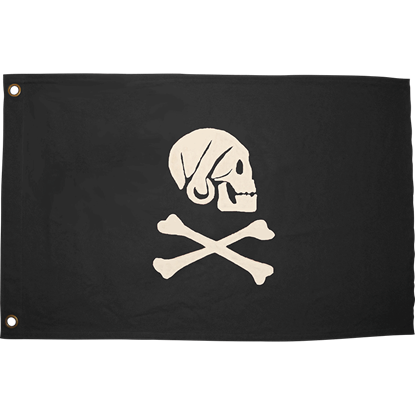 Several of these canvas flags have been treated with a waterproofing agent to prolong their life if they are placed outdoors, and a number feature grommets to aid in hanging. 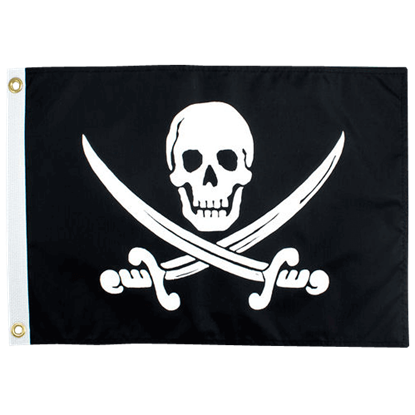 Many of these piracy flags are made in the USA. 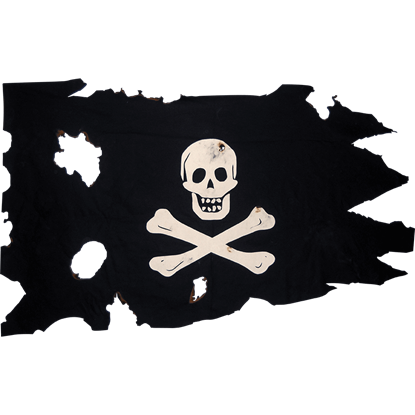 Take a moment to browse among these decorative pirate flags, and you will find an excellent selection of pirate wall decor to add to your home!